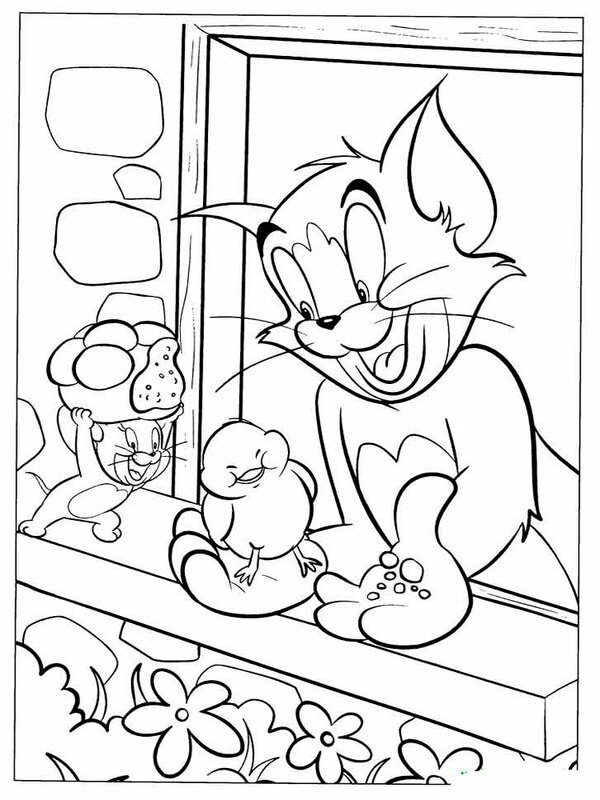 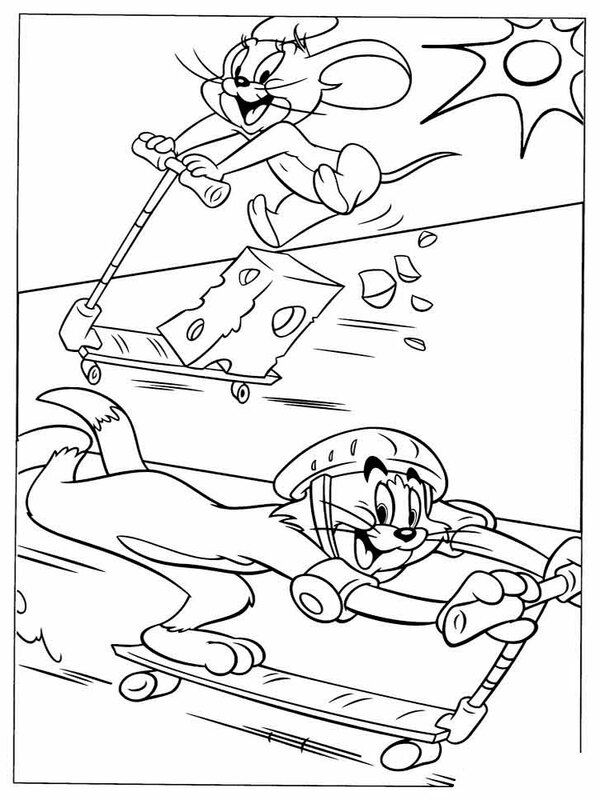 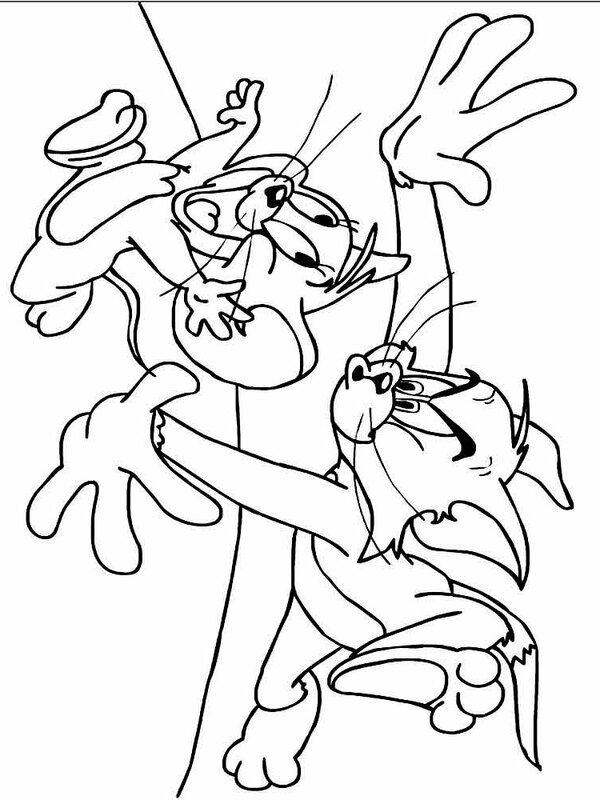 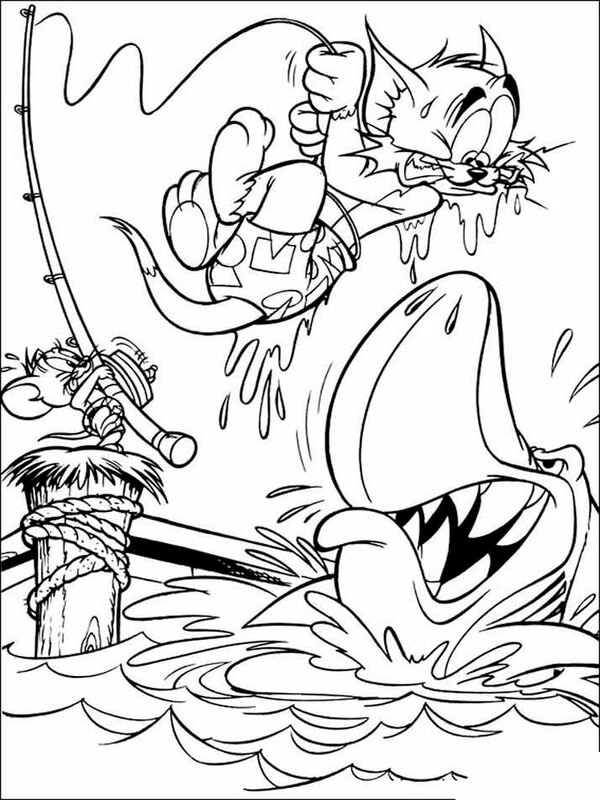 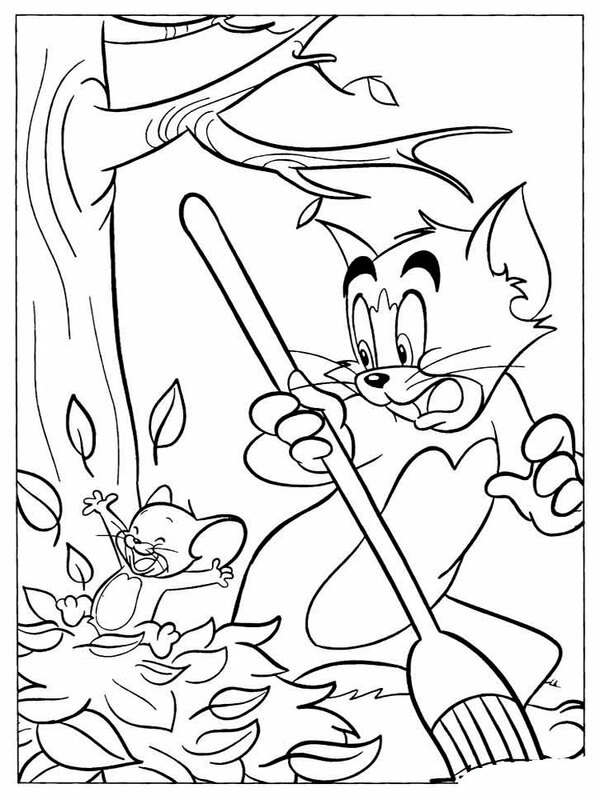 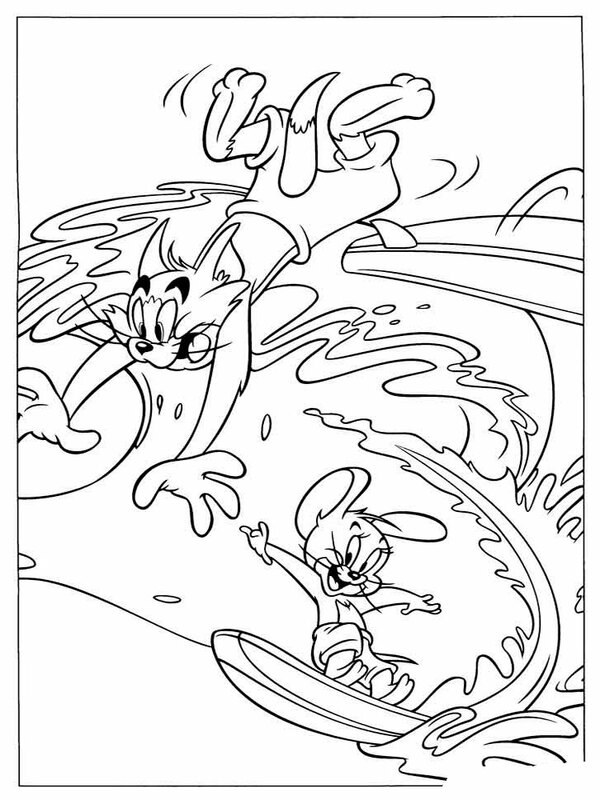 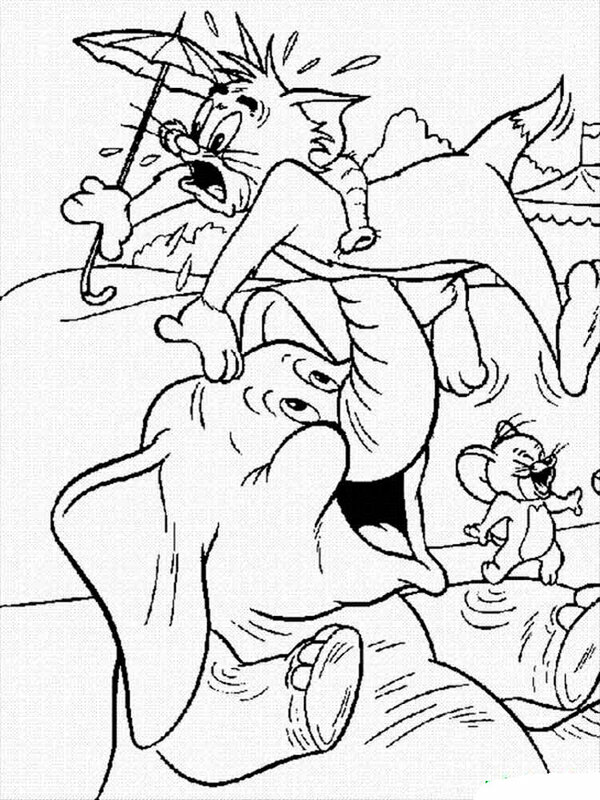 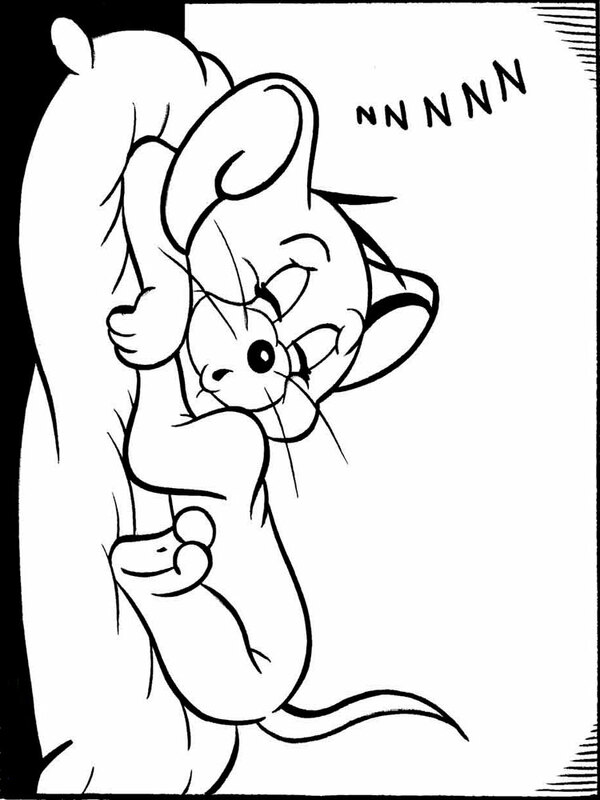 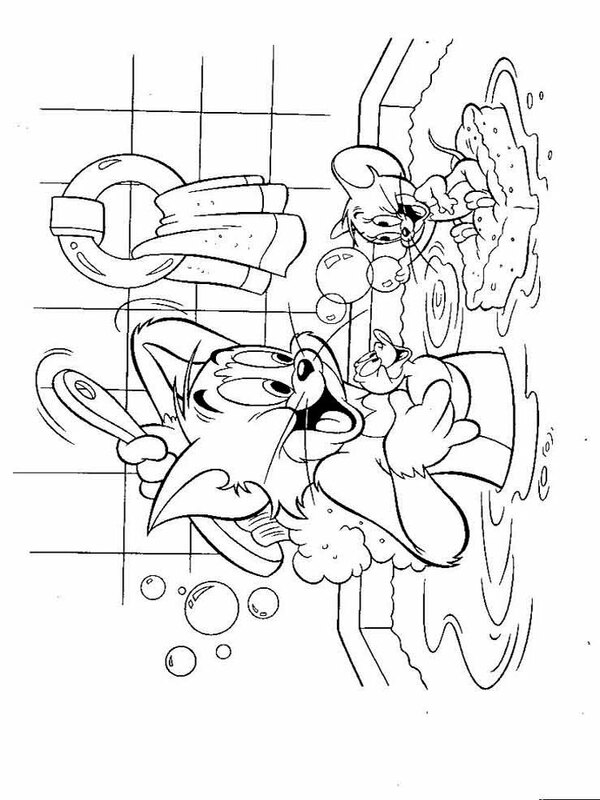 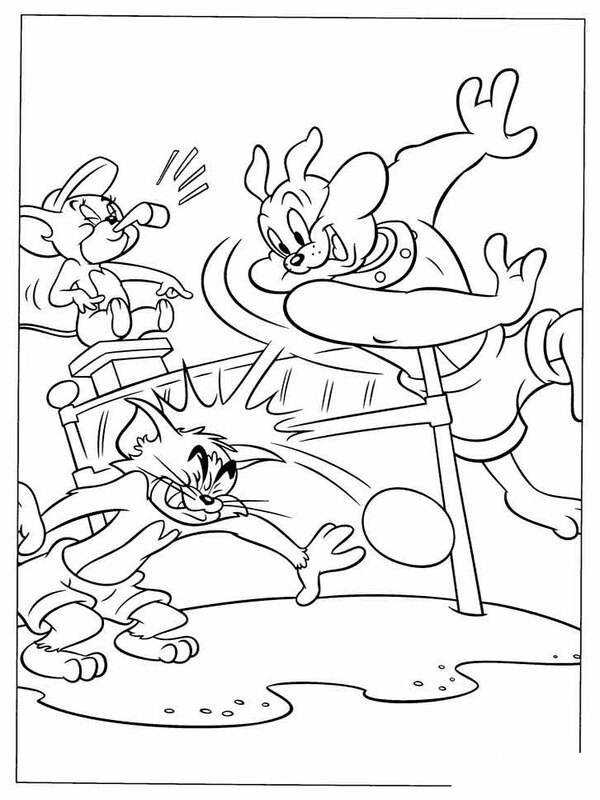 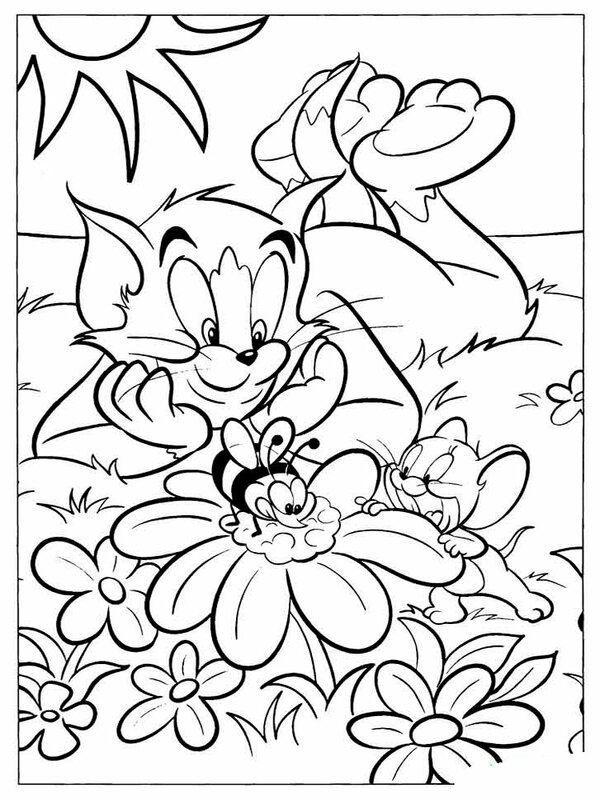 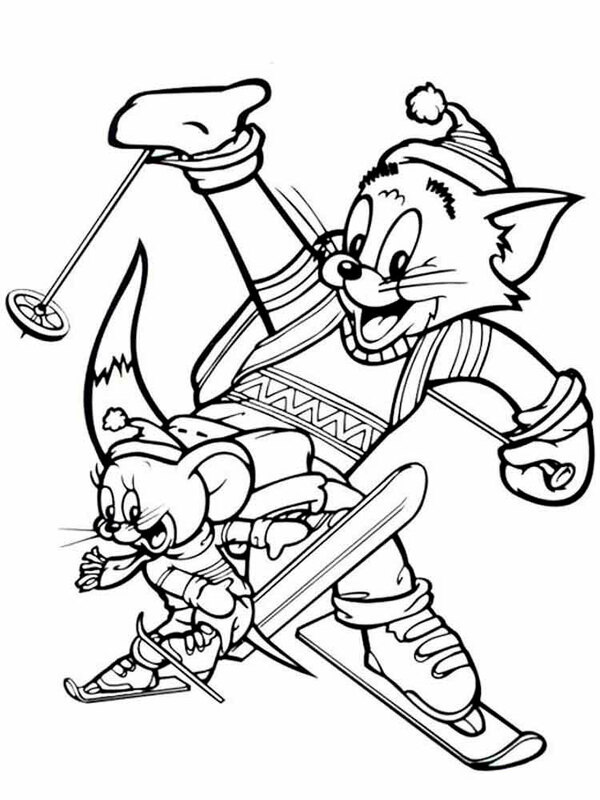 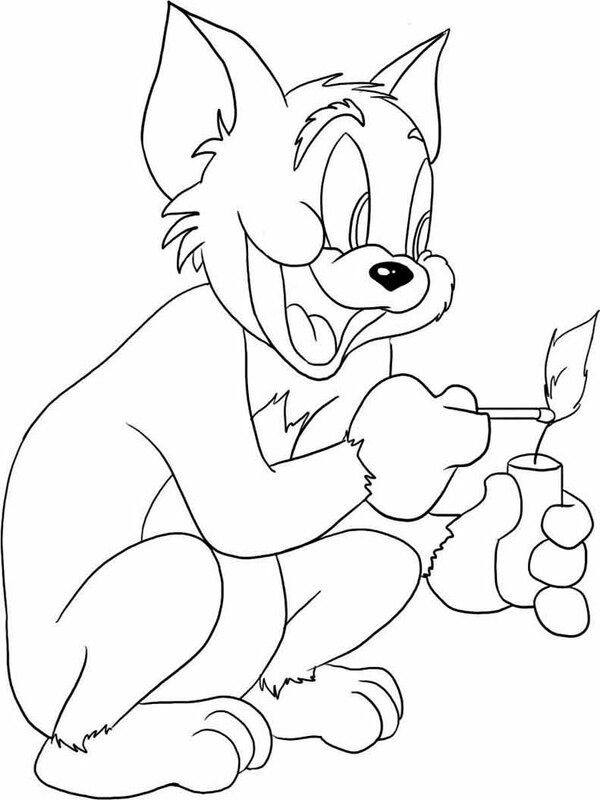 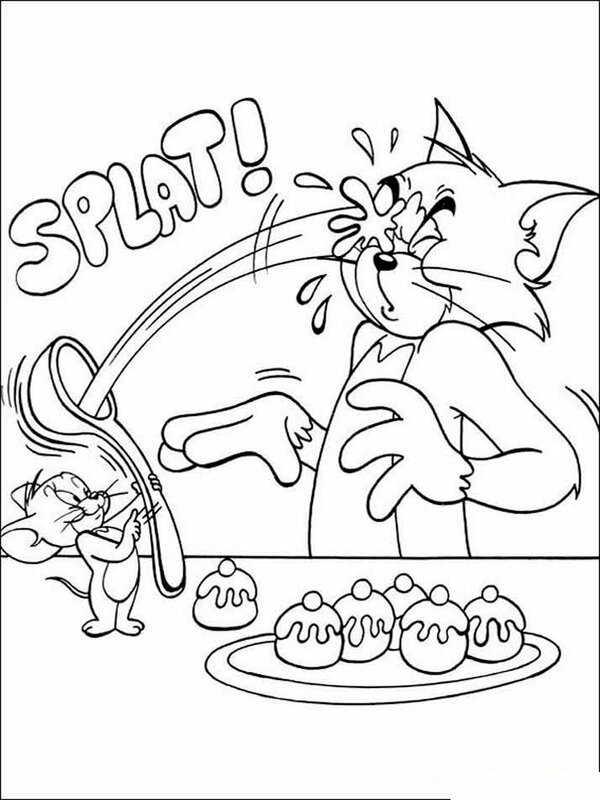 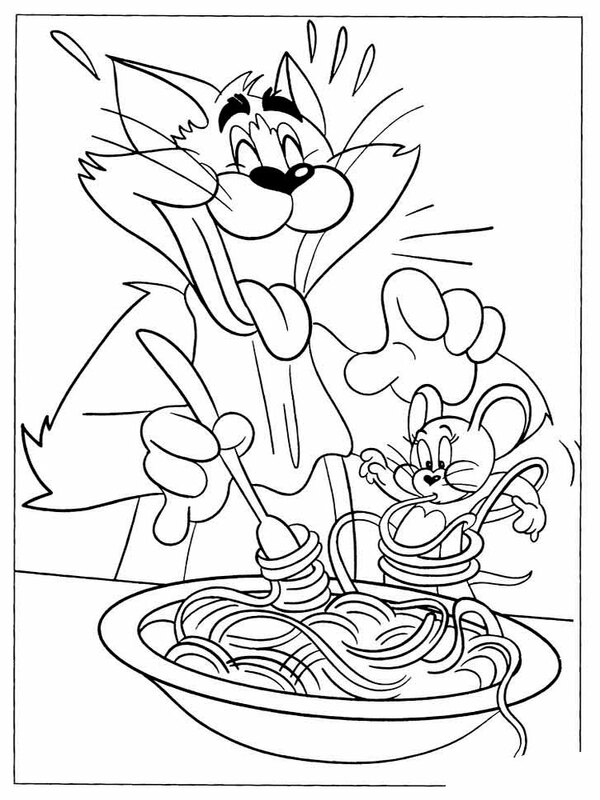 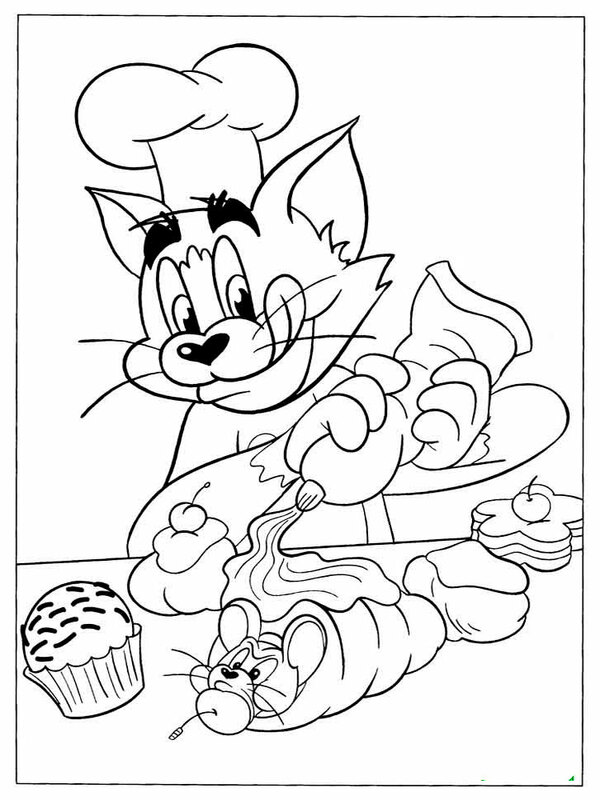 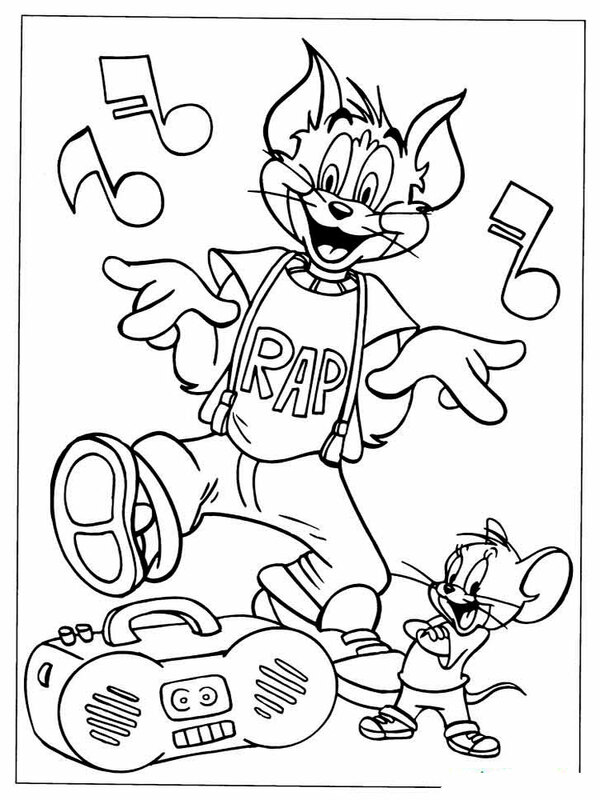 Free Printable Tom and Jerry coloring pages. 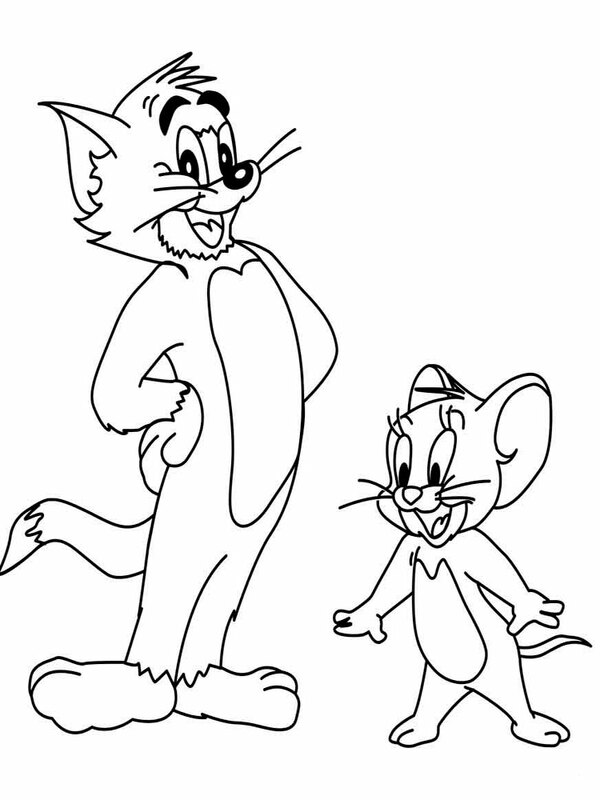 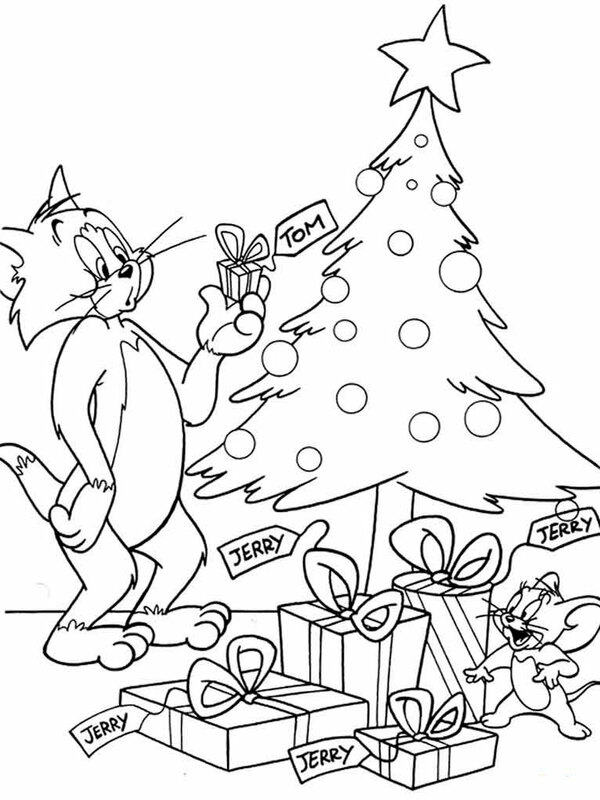 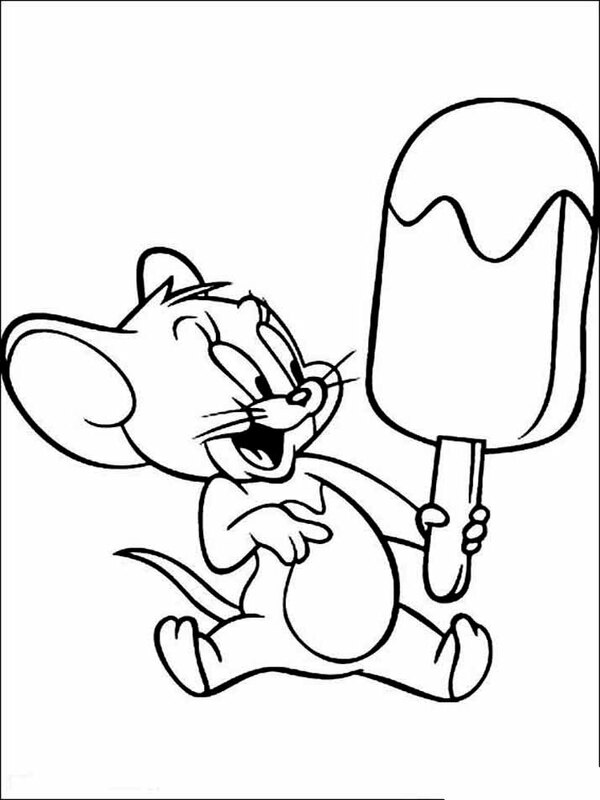 If you like to watch a popular cartoon Tom and Jerry, then Tom and Jerry coloring pages which can be downloaded and printable free of charge for certain will please you. 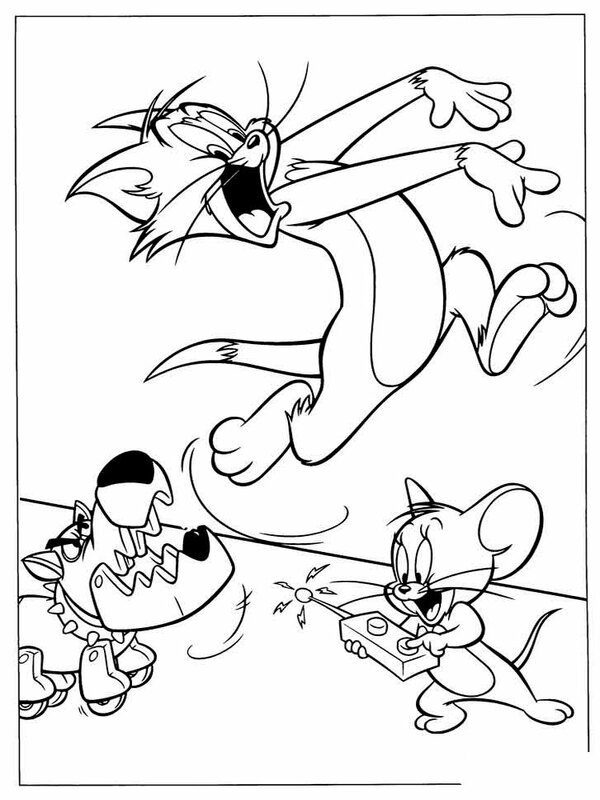 Cheerful adventures of these amusing characters will make laugh even the most serious viewer. 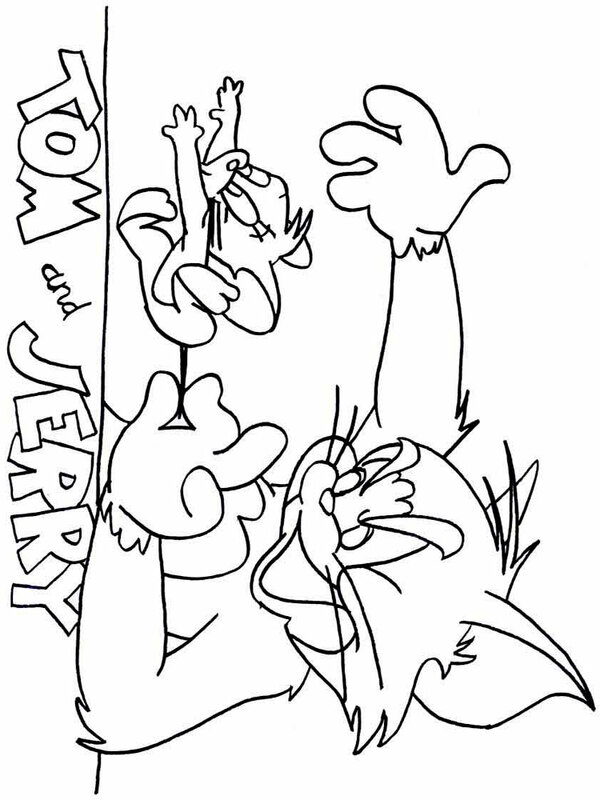 Jerry continually lifts up Tom, awakening in him an instinct of the aggressive hunter. 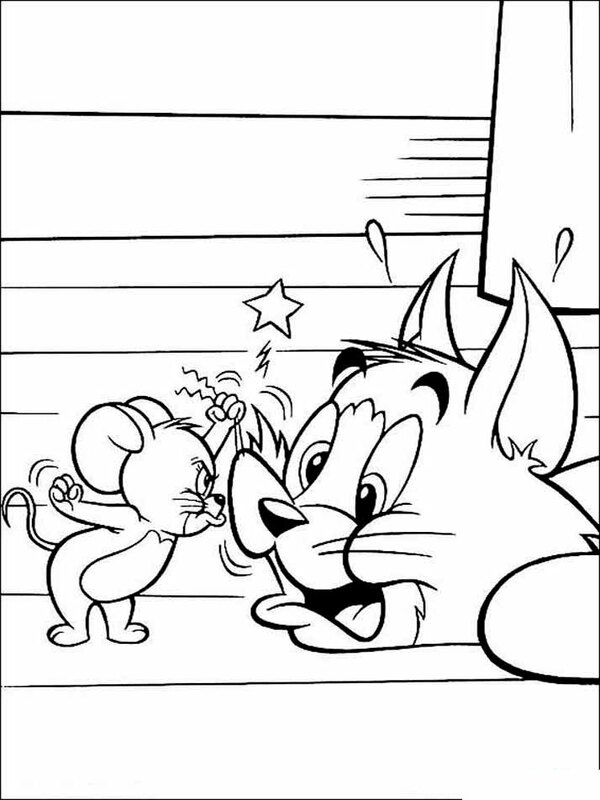 Tom aims to catch up and punish the little prankish, but on he always meets different barriers … When the purpose is already close, Jerry suddenly changes the course of events, having changed behavior tactics. 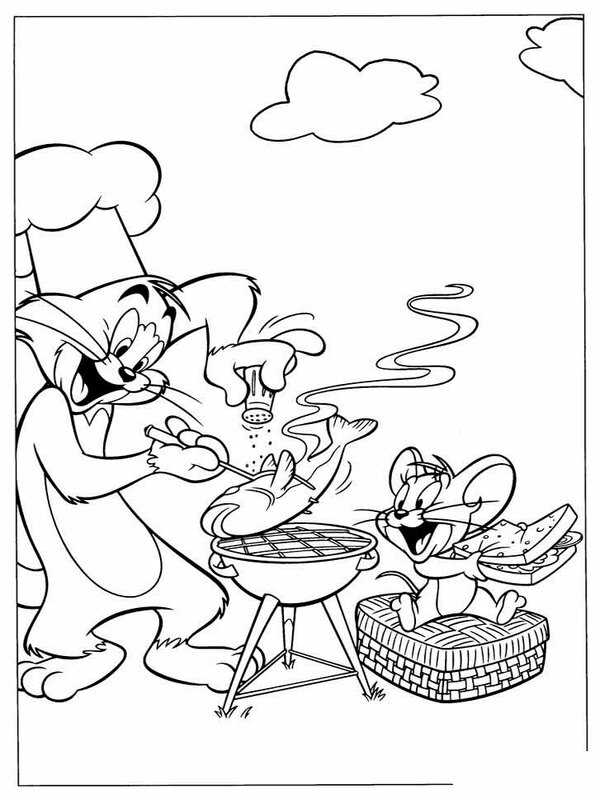 He becomes a tender and kind little mouse, tries to become a friend to the cat. 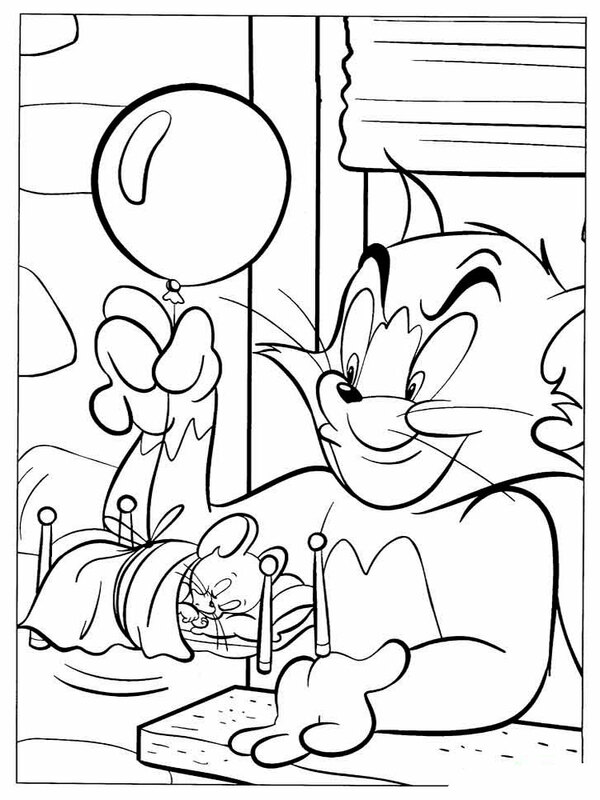 Tom's heart thaws and all simple history comes to happy end. 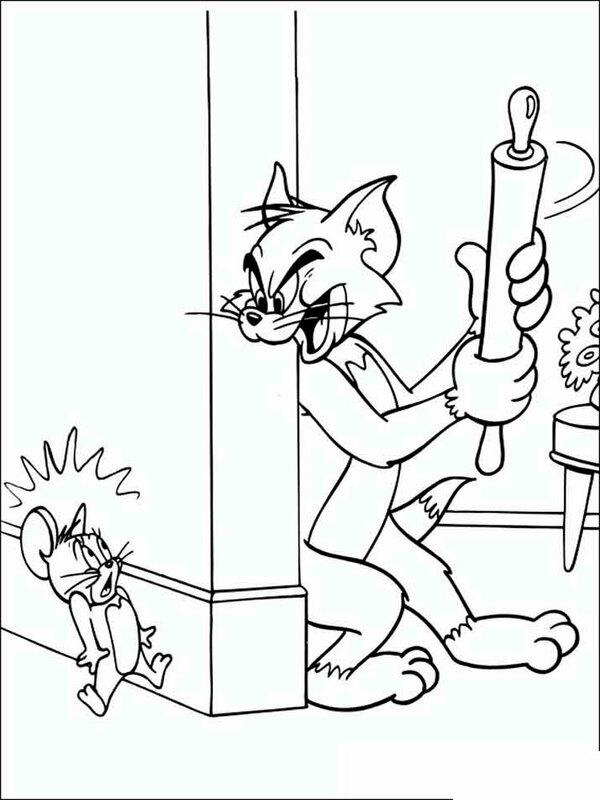 After watching of some series about Tom and Jerry the sense of the game "Tag" becomes very clear! 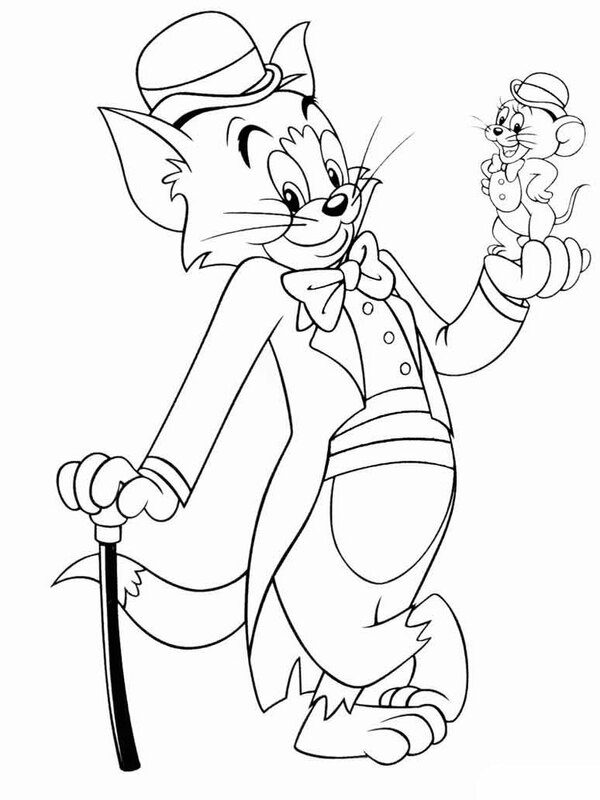 The first series of this remarkable cartoon has been removed in 1940, since then ranks of fans are only grow. 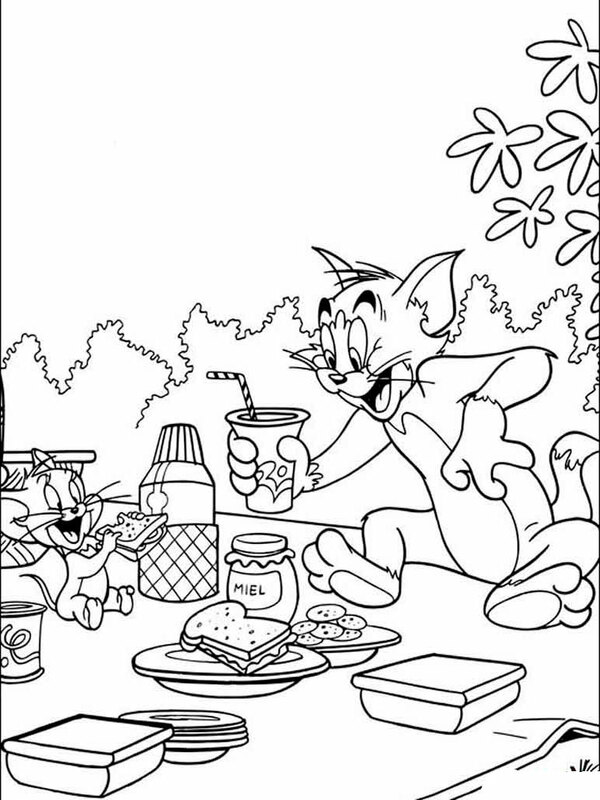 For many years this animated film is broadcast on TV channels of the whole world, winning love of the audience of the most different age. 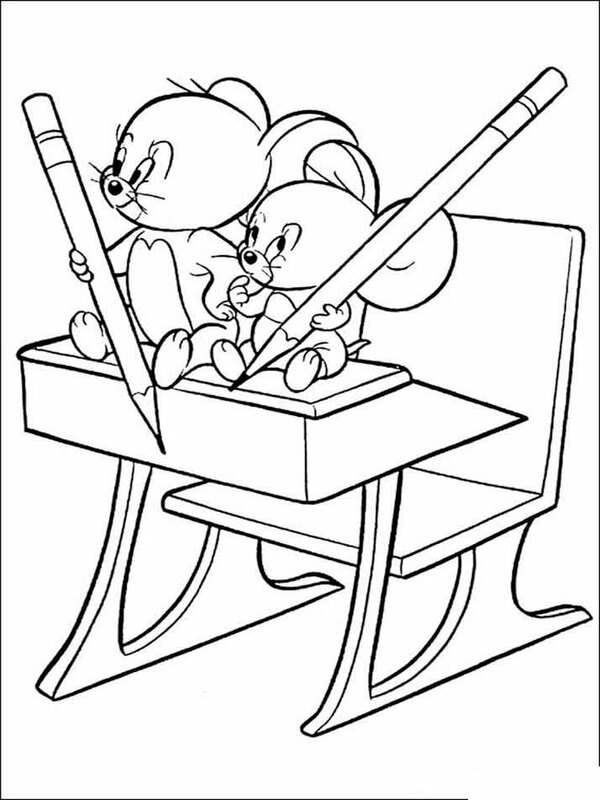 The youngest audience will be for certain glad to download and print Tom and Jerry coloring pages. 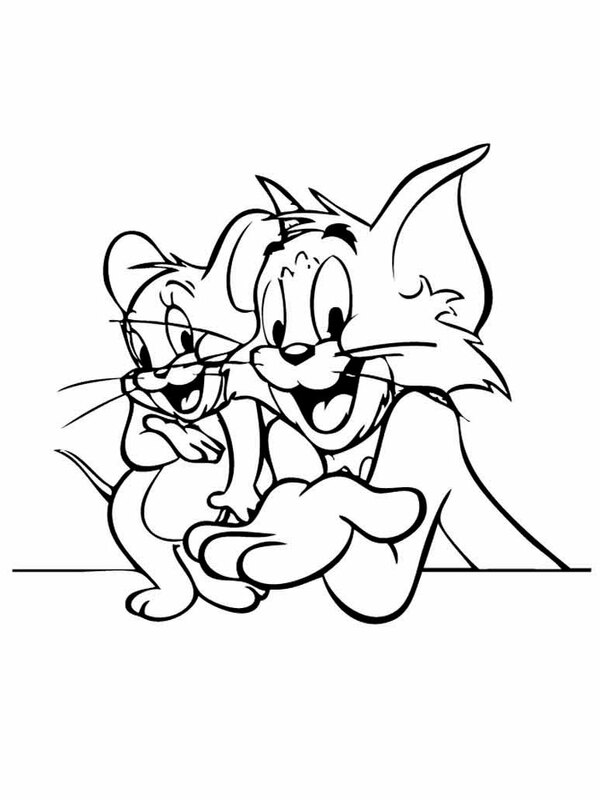 The cartoon Tom and Jerry has formed a basis for a set of games of the same name. 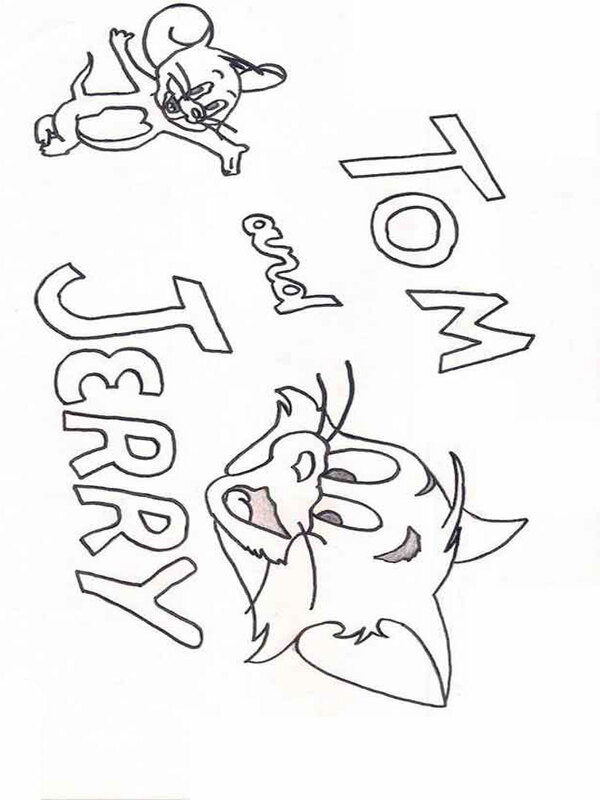 According to the cartoon, the domestic cat Tom has a blue color of hair, and Jerry is a brown mouse. 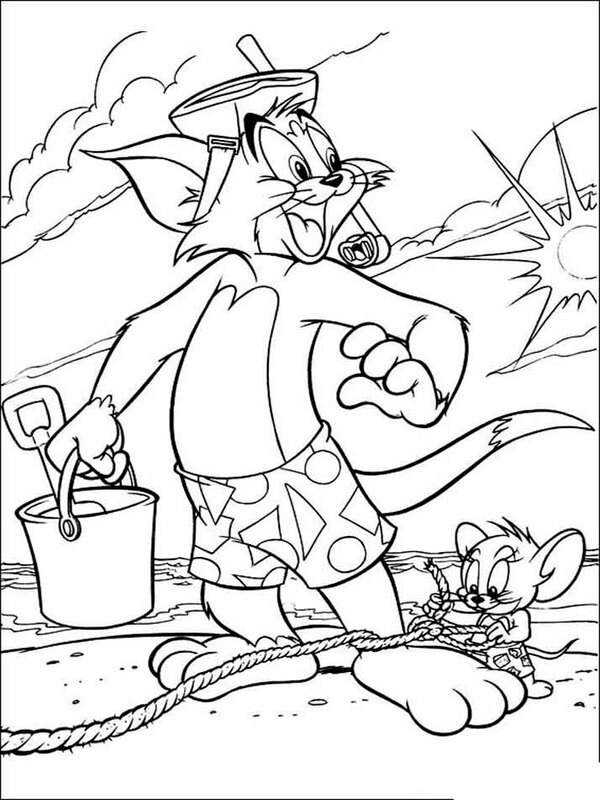 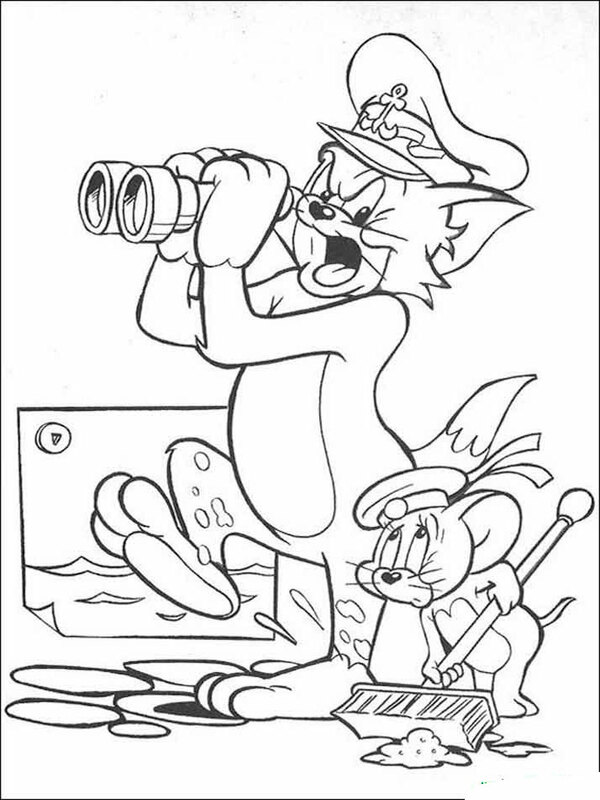 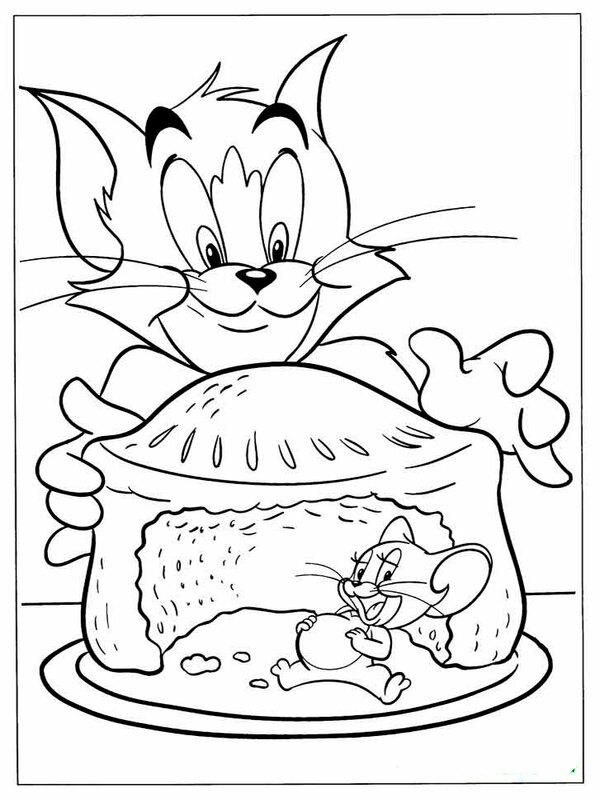 Tom and Jerry coloring pages give your kid the chance to show the imagination and to give to the animals a non-standard look. 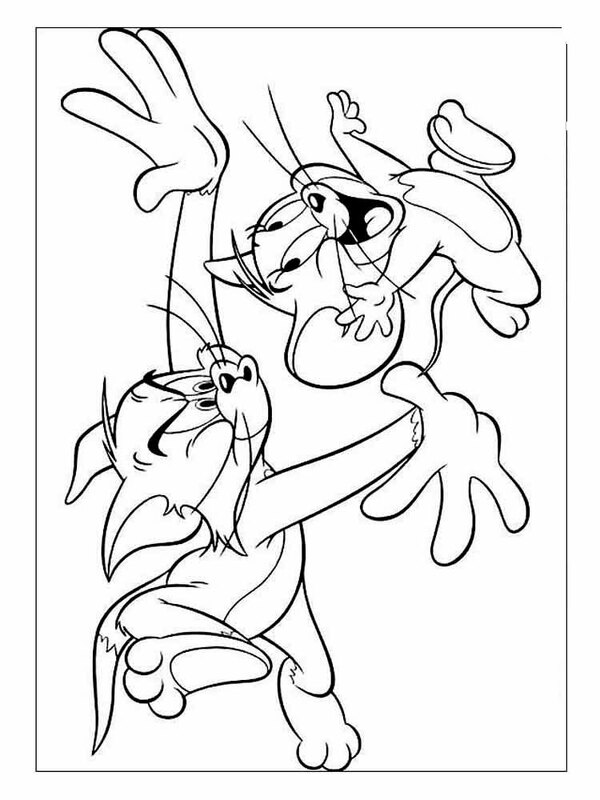 Tom and Jerry coloring pages in the form of various sketches from the cartoon will be great joy both for boys, and for girls. 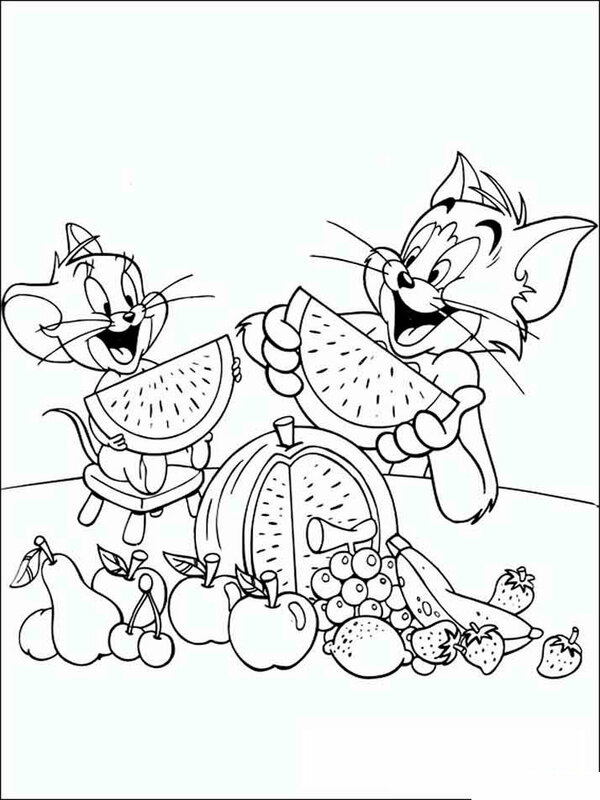 Here we have collected the best coloring pictures which you could download and print easily and free of charge.